Sunday's NFC Wild Card game between the Washington Redskins and Seattle Seahawks featured two of the NFL's hottest teams. In fact, it was the first postseason game in NFL history in which both teams entered the game sporting winning streaks of five games or more, so something had to give. Something gave, all right. 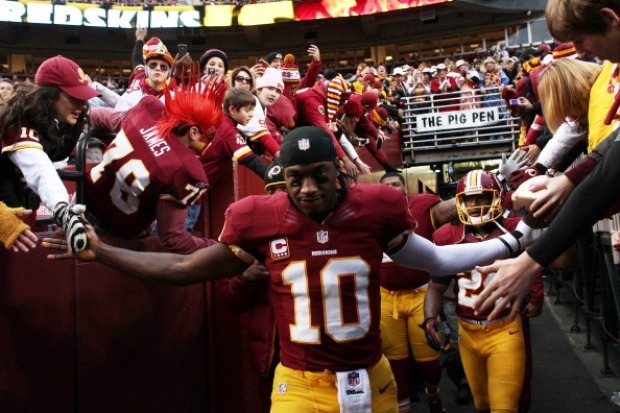 Unfortunately for Washington, it was Robert Griffin III's knee. Despite jumping out to an early 14-0 lead, Griffin's injured knee and the Redskins' defense buckled as the Seahawks scored 24 unanswered points in a 24-14 victory. Other than throwing two first-quarter touchdowns, Griffin was a non-factor, throwing for 84 yards on 10-of-19 passing. 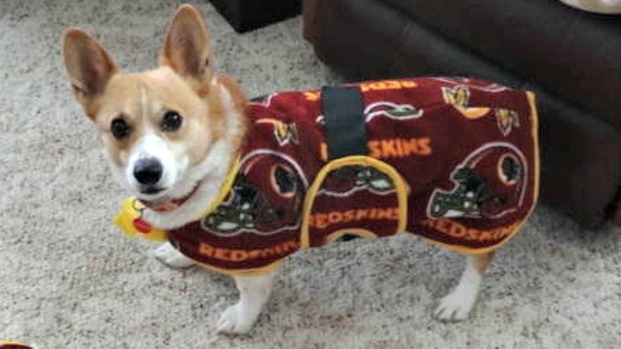 He aggravated his already-injured right knee early in the game and really never recovered, limping throughout the contest until his knee finally gave out late in the fourth quarter one play after being sacked. Griffin fell while trying to corral a bad snap and could not get up as the Seahawks recovered the fumble. He did not return. Kirk Cousins entered the game in relief, but unlike his last relief appearance, he could not lead Washington to a comeback victory. The Redskins outgained the Seahawks 129-28 in the first quarter, but the Seahawks recovered, earning 352 yards to the Redskins' 74 the rest of the way. Marshawn Lynch led that charge, finishing with 131 yards on 19 carries with one touchdown. Seattle has eliminated Washington from the playoffs in each of the latter's last three postseason appearances.